“Transparency” and “Overview” – these are requirements that evolve to real challenges if they are to be met in a multi-national corporate structure involving more than 270,000 employees in 12,000 locations. Finally, the REWE Group decided to face these challenges by introducing Ingentis org.manager following the successful implementation of SAP. All employees, from the board of directors to the local employees, were to be granted access to the current organizational structure overview at all times. Of course, organizational chart creation should be possible without requiring manual efforts. Now,organizational charts are not only created automatically by simply pressing a button but employees worldwide can access daily updated organizational charts structured according to uniform corporate design guidelines. Founded in 1927, the REWE Group is a market-leading European retail and tourism corporation with sales figures around 43.5 billions, 270,000 employees and more than 12,000 locations in Germany and 13 more countries. 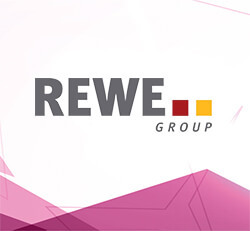 In Germany, the REWE group has 184,000 employees who generate sales of approximately 31 billion Euros in 8,900 outlets ranging from supermarkets (REWE), discounters (Penny) and self-sevice department stores (toom) to specialinterest stores (toom BauMarkt, ProMarkt) and travel agecies (Atlas, DER, Derpart). Further internationalization efforts focus mainly on the emerging markets in Eastern Europe. “To provide an up-to-date and easy-toaccess overview of all corporate areas and organizational structures, from the board of directors to the employee at the local site.” This is how the REWE Group SAP project team described their requirements concerning a tool used to provide a graphical display of the organizational structures. Also, it should be possible to access this information via the corporate intranet and to use a uniform corporate design for the information. “The SAP-specific default graphical user interface was not comprehensive enough and the organizational charts could not be output in the desired format,” explains Ralf Hinkenjann, IT expert in the REWE Group SAP project team. Ralf Hinkenjann and his team identified and evaluated all software solutions available on the market. “Seamless SAP integration, easy operability, intranet capability and the price/performance ratio of the solution” convinced them to decide on Ingentis org.manager. “Due to the true plug-and-play capability of Ingentis org.manager allowing for easy SAP integration, implementation actually did not take more than a few hours.” Ralf Hinkenjann reports with enthusiasm. The SAP functional module that is part of the product enables smooth and fully-automated data transfer from the SAP system. By using direct integration into the SAP system, the time-consuming and redundant data maintenance and the efforts required for manual organizational chart creation are no longer necessary. Ingentis org.manager uses the existing SAP HR information to create the desired organizational charts on pressing a button. “Using Ingentis org.manager has enabled us to achieve a significant workload reduction at our locations, thus enhancing our efficiency considerably,” explains Ralf Hinkenjann. No limitations were given for the organizational chart layout. Organizational chart publication is done via the REWE Group corporate Intranet using the corporate design guidelines. Using this system, all employees can permanently access up-to-date organizational charts in a uniform layout.